What you are looking for, my friend, is called freelance work. You work for people online who want a certain job done. The skill-set will be yours to input, but we can provide you with a list of the top platforms where you can find jobs. These are freelancing websites that happen to be some of the best. Now, every freelancing website will tell you it's the "number one" freelancing website, but don't you fall for that. Leave the job of picking the best such sites up to us. So here's a list of the top 10 websites where you can find jobs you can work upon from home. 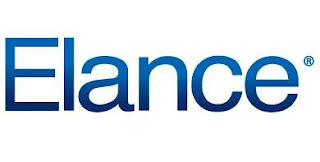 Elance is the best freelancing website without a doubt. It is a U.K based website that started in 1998. Not only is it the oldest and most popular, but is also the most highly paying website. Contractors are looking for their work to be done professionally, and they'll pay good money for it. No matter what sort of freelance work you're looking for, you'll most probably find it here. There are more than 1.5 million contractors registered with Elance! And they post more than 60k jobs per month! So many job options, and Elance's reliability and surety of payment via various methods verily make it the best freelancing website in the world! Elance does not charge you anything for signing up. But there is a paid package that unlocks many privileges for you. But my advice is, get a free membership, and work your way into the premium one. oDesk is number two only because it isn't just as well known as Elance. But I don't think that's fair to the site. Quality-wise, it is one of the best websites. You can look for any sort of work at oDesk. I personally have some writing job experience at oDesk, and it was amazing. I was a beginner, and I didn't know my way around. oDesk made it so easy for me. And I got picked for the job so easily that I was amazed. oDesk has all the features that Elance has. But there's got to be a reason why it isn't number one itself, right? Well, there is one. oDesk is slightly lower paid than Elance. Average rates for the same kind of jobs are lower on oDesk than on Elance, but still higher than many other websites. It's a slight difference though. Apart from that, oDesk is great. Indeed a must try for beginners. Like Elance, Freelancer is also one of the oldest freelancing platforms. It is very popular, and has more than 3.6 million users! And it has a total job count of more than 1.6 million! It is a good paying website, with most of the Elance and oDesk features. It has some of the best payment options, which is useful for people who don't have PayPal access in their country. Now here's an underdog that's made its way into the top 5. And rightly so! Compared to Elance, it's a very small platform. But it is dedicated to the Programming and IT field. So if you are looking for coding or other computer-related jobs, then this might be the thing for you! The fact that this is a small website makes it easier for you to get a job!ScriptLance charge only a 5% on all your earnings, which is the lowest by far! Plus, there's no sign up or registration fee. Better yet, it has an affiliate program that gives you bonuses whenever one of your friends join the site through you. Fiverr is a different sort of Freelancing website. For one, it's the workers who post jobs they are willing to do, and not the hirers posting what they want done. 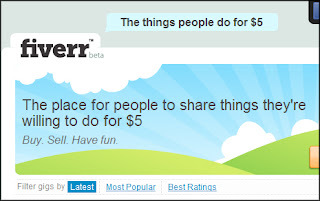 For another, jobs can only cost $5, one dollar from which goes to Fiverr.. Be that as it may, Fiverr is a very unique website, probably one of its kind. It is a micro-freelancing site, which has mini-jobs called gigs. Workers post gigs they are willing to do. Contractors then order that gig. It is best for getting your freelancing career started. Not only will you find professional jobs here, you will also find some of the most ridiculous jobs and skids you ever saw in your life! It's a must try website, especially for beginners. So get ready to be amazed by Fiverr! I think the name speaks for itself here. Guru really is a freelancing platform guru. It is also one of the most popular freelancing websites like Elance or oDesk. And it has many similar features. The only downside though, is that if you have a free account with them, then you get a very limited number of bids you can use per month. Kind of a mood killer for such a big website. But overall, it is a very good website. You can always try out other sites while working on this one. So sign up now and utilize your bids! 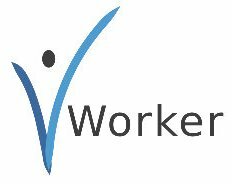 vWorker is another very reputable freelancing website. It is best known for its highly scrutinized screening process, which ensures that you only get jobs relevant to your own skills. This saves a lot of time and effort, and if you want to hire, it will provide you with highly relevant people who can do the job well. A must try for all freelancers. This is a design-oriented freelancing website. Contractors post design contests of various types, such as logo designing, page designing etc. Freelancers need to submit their designs. The best design wins the contest, and bags a lot of money. This is sort of time consuming, and a bit risky especially for new freelancers. But if you are a good artist, and if you have the potential, then you can walk off with lots of money in your pocket. Interested? 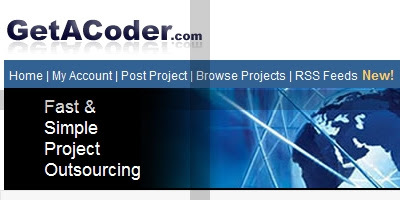 As the name suggests, this website is related to programming, web development, and other IT related jobs. This is one of the oldest such websites. It has thousands of active contractors. So if you are into programming and such stuff, then this might be the thing for you. It pays really well too. This website is very similar to 99 Designs. It works in a similar way too. But it pays more! Only problem though, is it is somewhat hard to get selected because there is a lot of competition. Still, it made it to out top 10 list.